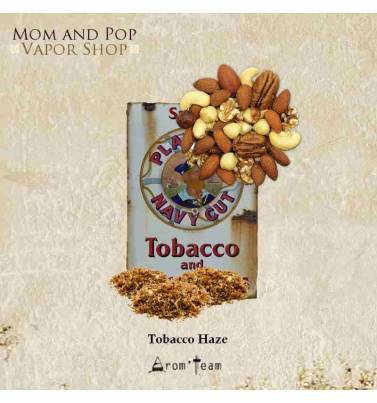 If you're searching for a light tobacco flavour, this Mom and Pop concentrate will bring your vaporizer a rich e cig tobacco with a hint of nuts. An inimitable light tobacco flavor, "All day vape" for many US vapers, diy haze specialists for a gourmet tobacco e juice ! Mom and Pop gives a very brief description: excellent tobacco with... we will not tell you ! Indescribable but a must have for fans of tobacco vape. How to dose this Haze tobacco flavor ? What is the steeping time for a tobacco e liquid ? >>> Tip : why not some apple pie with this Haze ?